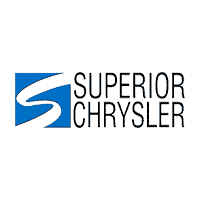 Certified Pre-Owned Vehicles | Superior Chrysler Center " "
When you choose to buy one of the certified used cars for sale at Superior Chrysler Center, you can find confidence knowing that every one of our certified used vehicles has been carefully inspected by a team of professionals. And while the same goes for our excellent lineup of used vehicles and bargain inventory, all of our certified used vehicles come backed by our certified used vehicle program. To start exploring your options, take a look at our certified used vehicles online now. AWD. Certified. Granite Clearcoat 2018 Dodge Durango 4D Sport Utility R/T AWD 8-Speed Automatic HEMI 5.7L V8 Multi Displacement VVT FCA US Certified Pre-Owned Details: * Limited Warranty: 3 Month/3,000 Mile (whichever comes first) after new car warranty expires or from certified purchase date * Includes First Day Rental, Car Rental Allowance, and Trip Interruption Benefits * Roadside Assistance * Transferable Warranty * Warranty Deductible: $100 * 125 Point Inspection * Powertrain Limited Warranty: 84 Month/100,000 Mile (whichever comes first) from original in-service date * Vehicle History Odometer is 6680 miles below market average! Not only will you find competitive pricing across our entire inventory of certified used cars in Superior, Wisconsin, but also a number of used car specials to help you save even more. Thinking about transforming your current vehicle into extra savings too? At Superior Chrysler Center, you can value your trade and make the most out of your used car with ease. To get a feel for all your options, and to test drive a few of our certified used cars, stop by and see us in person today. Thanks to the certified used vehicle program at Superior Chrysler Center, you can buy a reliable certified used car in Superior, WI and drive home with confidence. When it comes to our fine selection of quality used cars, which includes used Jeep Grand Cherokee SUVs, used Chevrolet Silverado 1500 trucks, and other popular used models, we guarantee you won’t be disappointed with the selection, pricing, or used car warranty options we have to offer. Ready to take the next step? Fill out our online auto financing application now, then pick up the phone and give us a call.